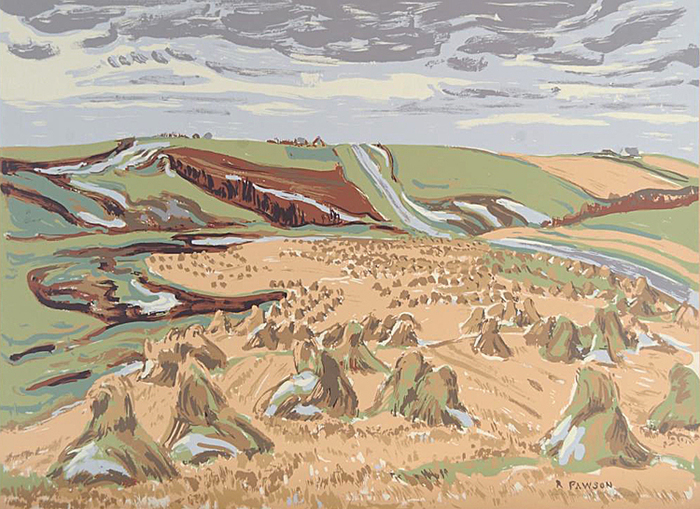 Ruth Pawson was born in Stratford, Ontario in 1908, and moved to Regina, Saskatchewan in 1912. Her interest in art began early when as a child she was fascinated by her grandfather's watercolour paintings of ancient Greek myths. Pawson received a teacher's certificate from the Regina Normal School in 1927, and taught for ten years before she was able to afford art classes. 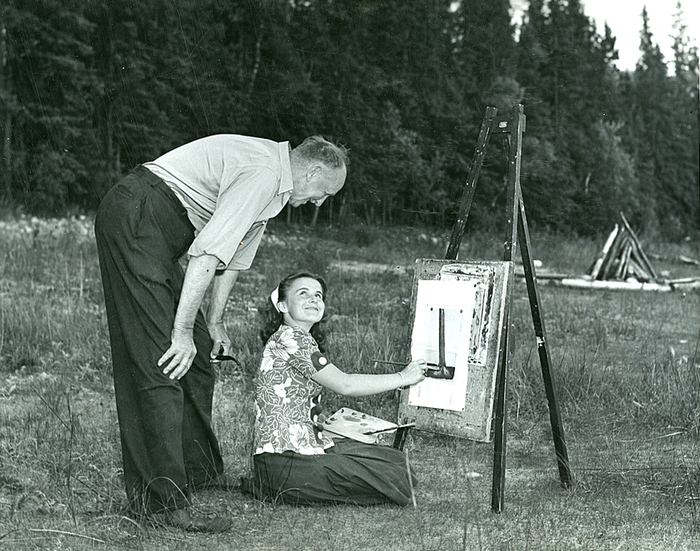 While still a devoted teacher, Pawson studied art and art history at the University of Regina under Augustus Kenderdine and Gordon Snelgrove, graduating in 1940 before attended the Murray Point Summer School of Art at Emma Lake in 1941, 1942, and 1946, and studying at the Banff School of Fine Arts in 1944, 1945, and 1947 under A.Y. Jackson. Pawson's work has been exhibited in many group shows as well as a solo show at the Dunlop Art Gallery in Regina, a retrospective in 1990. Other than two years spent teaching in Germany with the Canada Department of National Defence (1960-1962), Pawson spent her life in Regina. She retired from teaching in 1965 to paint full-time, but continued to be involved in the school system. In 1976, a public school in Regina was named Ruth Pawson Elementary School in recognition of Pawson's contributions to education and art. In 1993, Pawson received the Saskatchewan Arts Board's Lifetime Award for Excellence in the Arts, and in that same year, she was awarded the Saskatchewan Order of Merit. Ruth Pawson died in 1994 at the age of eighty-six. 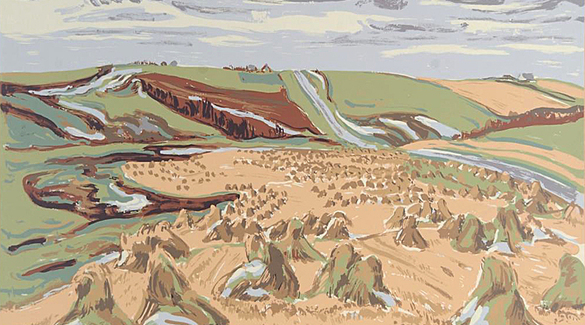 Wayne Morgan Ruth Pawson's solo exhibition at the Dunlop Art Gallery (24 May - 15 June, 1975) was sold out and began the return of her work to art world attention. The illustration is proof of her earlier attention since it is an Sampson-Mathews silk screen series from the post war efforts to make art easily accessible.